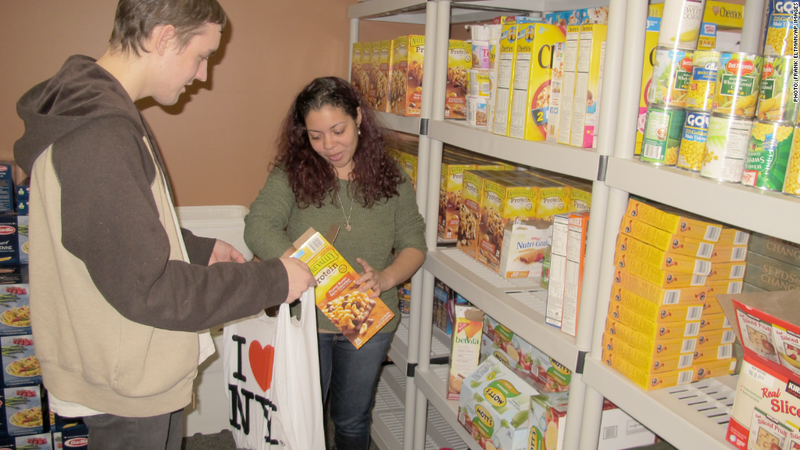 The food pantry at Stony Brook University is one of more than 100 to open on college campuses in the past six years. They may be studying at high-priced institutions, but a growing number of U.S. college students rely on food pantries for their next meal. At least 100 have opened on college campuses across the country in the past six years. By one estimate there were only four in 2008, though no one kept track back then. Tony Duong, 21, is a senior at the University of California Santa Barbara pursuing a degree in biochemistry and molecular biology. Good grades won him grants that cover his $12,000 tuition, and loans usually pick up additional costs like student fees, books, health care, rent and food. But sometimes it's not enough. "I don't know if I'd be able to stay in school without the food pantry," Duong said. The UCSB pantry opened in 2011 after the university surveyed students and found that nearly half skip meals to save money at least a few times a month, and 23% skip meals every week. It's now open three days a week and serves about 2,000 students annually. The pantries are widespread and can be found mostly at public universities and community colleges. They serve students at big names like Michigan State University, the University of Missouri and Syracuse, as well as Long Island's Stony Brook University and North Carolina's Durham Technical Community College. Most are funded through donations and serve anyone with a school ID card. The pantries attract undergrads like Duong who are struggling with the rising cost of tuition and get little financial help from their parents. 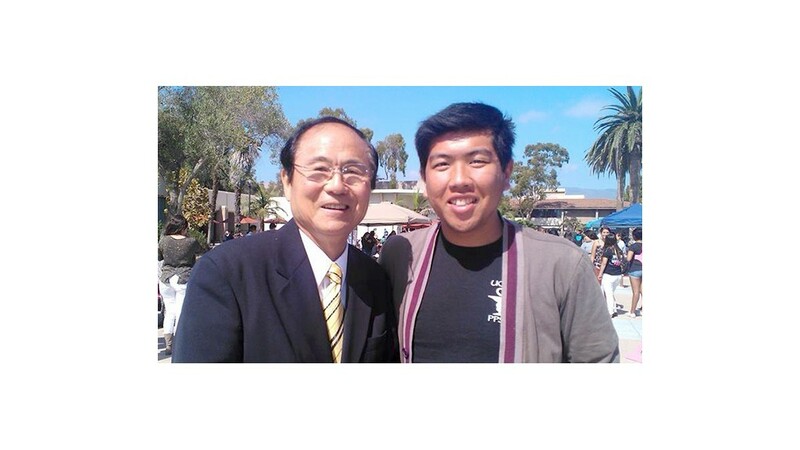 For Tony Duong (right), with school Chancellor Henry Yan, financial aid doesn't always cover all of his costs. Others are parents themselves seeking a degree for the first time while supporting a family. Many people flocked to community colleges to earn new credentials when the economy took a turn in 2008. "Nowadays there's a lot of competition," said Lisa Flores, a student at Durham Tech with two daughters. She has 25 years of experience in customer service, but without a degree she was working several part-time, minimum-wage jobs to make ends meet. "So here I am in my late 40s going to community college so that I'm qualified for a better job" she said. Some students who use campus food pantries returned to school after they couldn't find work. Benjamin Frankel, 31, has an associate's degree in nuclear medicine technology, but couldn't find a job for nearly a year. So Frankel, already saddled with student debt, enrolled at Stony Brook and plans to get his bachelor's and then his master's so he can be a physician assistant. 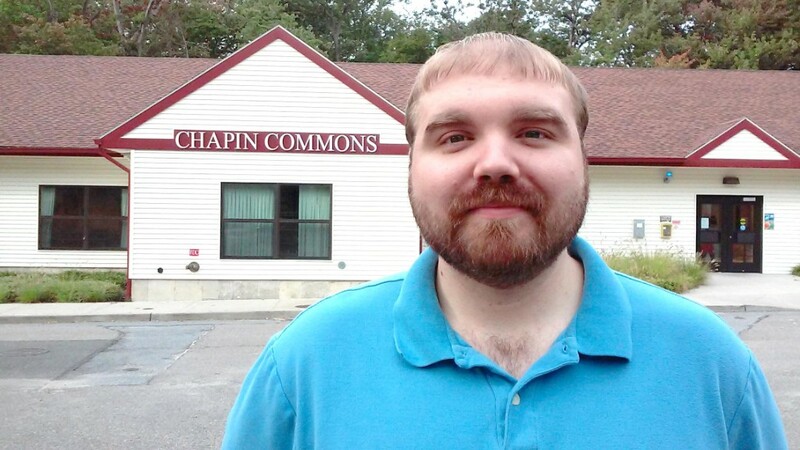 Benjamin Frankel doesn't have to skip meals, thanks to Stony Brook's food pantry for students. Despite working a part-time job on campus and getting help from food stamps, Frankel and his wife can only afford about $200 worth of groceries a month -- which lasts them about three weeks. The food pantry fills in the gap. "It's the difference between eating three meals a day for a week and eating one meal a day for a couple weeks," he said. That's a big deal for Frankel and other students. But food pantries provide an emergency service that doesn't tackle the underlying problems, like rising tuition and housing costs, said Casey McGloin, a co-founder of Stony Brook's food pantry. "Maybe the growing number of college food pantries will bolster large-scale reforms," McGloin said.